Brett Lee is hoping having a dedicated year-round Cricket channel will bring new fans to the sport, whether as kids and families watching the Big Bash League or more female viewers getting behind Women’s Cricket. “I always say parents take their kids to watch Test Cricket, but kids take their parents to the Big Bash. “And Women’s Cricket has earned their right to play on the big stage,” he told TV Tonight this week. “A lot of females now play Cricket and we encourage that. They’re very good and the level of Cricket that has gone up amongst young females has been brilliant. Hence the reason we have 3 females Cricketers on the broadcast this year. 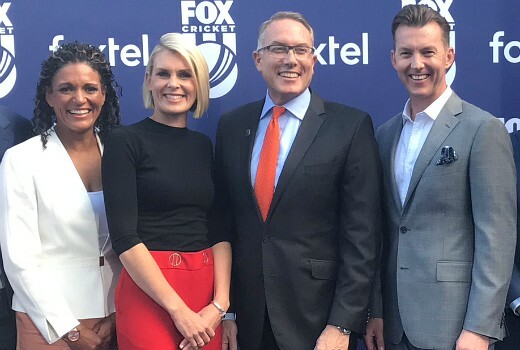 Attending the official launch of FOX Cricket, Lee explained why he solidified his association with the FOX Sports channel. “For me the biggest attraction was the people they were getting on board and the way they wanted to show Cricket. It suits my personality and, I think, the way that Cricket should be shown. Throw in the 4K as well, it’s pretty impressive: the clarity, the camera angles. But also having guys that I have grown up with and idolised: Shane Warne, Adam Gilchrist, Allan Border, Mark Waugh, I could go on,” he explained. Lee (pictured right), has just returned from commentating the Asian Cup for Star Sports, will be commentating across various formats for FOX Cricket.